Find it HERE and click on the city "Allentown". I gave a subscription to this as a Christmas gift...She said the first issue was great! Yeah! Toys R Us is having a huge sale on baby wipes beginning today. 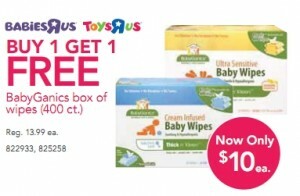 Babyganics wipes will be on sale for $10 and Buy ONE, Get ONE FREE! This makes the total cost just $10 for 800 wipes, which is like paying $.90 per tub for organic wipes! •For every $50 you spend, you'll receive $10 in Kohl's cash. Kohl's cash can now be redeemed ONLINE! Someone at church wanted to try this...who was it? C'mon, admit it. This offer is available again! CLICK “Like” NeilMed Neti Pot on Facebook and you will get a FREE NeilMed NasaFlo Neti Pot with two packets! Just click on the “Free Neti Pot” tab to get your free Neti Pot! *If you requested previously, you will not be able to again. CLICK HERE to get a FREE hand Washing timer for kids courtesy of the American Public Health Association and Colgate. You can request up to 3. Get Ready hand-washing timer is a fun way to teach children how long to wash their hands! Need some unique Valentine's cards? This could still be a creative "crafty" project...without mess! promo code: 25cards You must sign-up for a new account to be able to use the promo code (you can just set up a new account with a new email address). This would be a great time to make Valentine’s Day Cards!! Shipping should be $2.49! Need a supply of Sharpies for super cheap? You can grab yet another AWESOME deal at Rite Aid, this time on Sharpie Markers! When you spend $15 on select Sharpie Products a bonus $5 +Up Reward is printing, so this makes for a very SWEET deal Plus these purchases qualify towards the Spend $100 on select items get a bonus $20 + UP Reward!! **Some of the Sharpie 8 packs have bonus packs attached so you get another one for FREE! Head Here ﻿If you haven't already requested your FREE cup of Yoplait Yogurt, be sure to fill out the simple form. Yoplait is giving away 1 Million cups of yogurt! Tanga drops the price of a two year subscription to Parenting (Early Years) Magazine from $29.99 to $4.99 with code EARLY. This magazine gives advice on parenting children ages 0-5 and offers moms a forum to discuss what techniques work best. You may only purchase a two year subscription and Tanga does increase the price during the day, so act quickly! CharlotteRusse.com takes 50% off sale items in cart. Check out the Belted Safari Dress (pictured but needs some LEGGINGS to cover up! ha! ), which drops from $26 to $13 in cart. Also take a look at the Tencel Shirtdress, originally $39.50, then $19.49, and now $9.74 in cart. Shipping is $5.99 or free over $50 and sales tax is charged in states with Charlotte Russe retail locations. I enjoyed my free Amazon Moms' shipping so much over Christmas! How about you? It’s totally free for students to register for Amazon Student. Just head over to Amazon and provide your school name and major to get started. They came out with a new offer!! You can get a FREE 5X7 Photbook ($9.99) from KODAKGallery.com right now! First login or register, then CLICK HERE and your photobook will automatically come up FREE at checkout, and you just need to pay $1.99 for shipping. Office Depot is is giving $5 back in rewards when you recycle ANY Ink or Toner Cartridge through January 22. If you have been saving your empty cartridges for a promo, this is probably the best deal you'll find. You can recycle up to 20 cartridges and earn $5 each! TheLimited.com is offering $25 off any $50 purchase, plus $.11 Standard Shipping on any order! Enter the code 62115922242 in the "Redeem Virtual Dollars" box (*not* the promotion code box) to get $25 off your $50 order! There are sale items marked down as low as $3.99! Also, be sure to check out their Special Offers section on Jeans, Jewelry, and more! Should have had this BEFORE we got snowed in!!! Here is a FREE Blockbuster Express Rental Code: ESU11B good until 1/18! Coastal Contacts is at it again!! They are giving 5,000 pairs of FREE glasses with lenses at 12 NOON EST tomorrow 1/12! The freebie code is available now: USA5K You will have to pay for shipping and it should be around $10 depending on what pair you like. I highly suggest finding the pair you want tonight so you can be ready tomorrow. Some have reported that the code has worked a half hour early...so it seems best to be ready and set up early! These really add up if you buy them alot, so you may want to stock up, using different printers for the coupon printing. Free sample of Crest white strips HERE. It appears the the Hormel Compleats +UP Rewards are unlimited, and they are also producing the Monthly $1 +UP Reward, making them completely FREE with the weekly sale $1 +UP & Monthly $1 +UP. I have enjoyed high value coupons as a perk from earning points at Recyclebank.com. You can sign up and earn points through your recycle pick up and various other programs. Kashi GoLean Crisp is in sale for $2.99 at Target this week. If you got the $3/1 Kashi coupon from Vocalpoint.com, you can get one free. Didn’t get the Vocalpoint coupon? If you haven’t joined the eBay Green Team on RecycleBank.com, it’s still available. 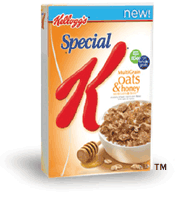 You can join to score enough points for another $3 off Kashi coupon. Click on either/both links above to join these free groups which will start you on collecting and printing more coupons for more free items! Plus receive a $1 month long food +UPR = FREE! Free ticket on Mamapedia AND support your school! 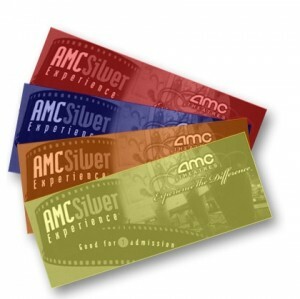 You can get a movie ticket for just $4 today only from Mamapedia. The ticket is valued at $11 and it is for first time buyers to Mamapedia only. There is a limit of one ticket per household and you will need to enter your mailing address when you order. they will actually mail this ticket to you within 3 weeks. Mamapedia tends to run out of offers very early on so I wouldn’t wait to order. Another perk I found on the site...have them give 5% of your purchases to your school! I searched for Christopher Dock on their list, found it, clicked on it and it is now linked to my purchases! YEAH! Starting 1/9 CVS will has a sale When you buy $20 on select Finish, Airwick & Lysol items, Get a $10 Extra Care Buck. Finish gelpacks or powerball tabs are included are are priced at $3. = 5 items for FREE + a $3.75 Moneymaker! Smartsource.com released a $6/2 on ANY Zyrtec, Pepcid, Motrin, Motrin PM, or Tylenol Precise coupon. =Both for FREE + a $3 Moneymaker! = 2 for FREE + $4 moneymaker! *Rite Aid’s coupon policy says they only take internet coupons up to $5, but since this is $6 off 2 which is $3 off 1, maybe it won’t be a problem! Lets hope! Discovery Channel Store has a $5 off $5 coupon code: SAVE5 they are having their winter sale with items at up to 80% off. The LIFE Blu-ray Disc 1 is marked to only $4.99, so after the coupon code it is FREE. Shipping will be just $2.95! MAMAPEDIA has a great deal: when you sign up you get $5 credit in your account. They currently have $20 worth of Bibs, Bags, Clothing, and More at Bumkins.com for ONLY $10. You get a $5 credit upon sign-up making this ONLY $5!